Blue radiance organza kurti features pink embroidery work on front/back hems and sleeves. Diamond illusion on fabric. 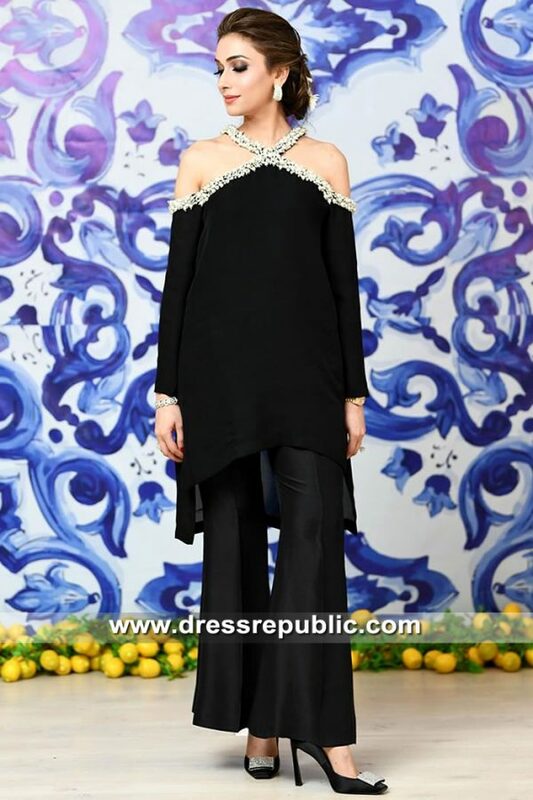 Stand collar neck with Kurta patti; full sleeves. 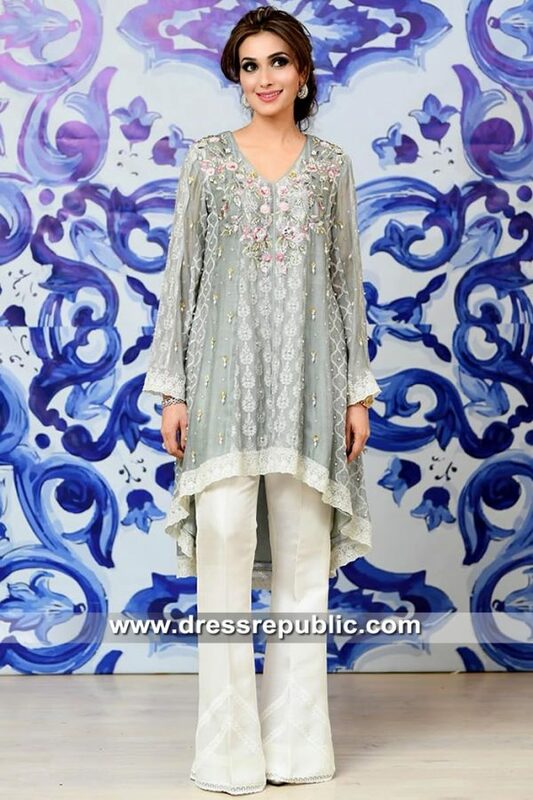 Complimentary chiffon dupatta with light sequins spray completes the look. Embellishment work includes resham, sequins, beads and diamantes.